A reader asks: "I have a German Shepherd dog, four years old, that began having seizures for no apparent reason. She has three to eight cluster seizures, each lasting only a few minutes. The dog has been seen by several vets; her blood, liver and other vitals checked out okay. Due to the number of seizures, she was started on phenobarbital. One year later, the dog still has massive seizures. It is a sad but very frustrating situation to cope with. The physicals all checked out fine and no problems were indicated but the dog continues to have seizures. Has anyone else experienced this type of situation?" Cluster seizures may occur because of an issue in the brain such as a tumor that interrupts communication between the parts of the brain or a lack of oxygen within the brain. Seizures can also result from low glucose levels in the blood or a thyroid deficiency. Poisoning can also bring on seizures. Seizures may also happen with apparent cause, which is called idiopathic epilepsy --- though the vet is unable to find anything wrong with the animal, the seizures still occur. In this case, it is presumed to be an inherited condition. German shepherds are susceptible to seizures, as are cocker spaniels, border collies, boxers, dachshunds, beagles, labrador retrievers and golden retrievers, all of whom have a tendency towards inheriting the condition. If the seizures have a genetic basis, they can arise when the dog is a puppy around 6 months old or manifest later in life. 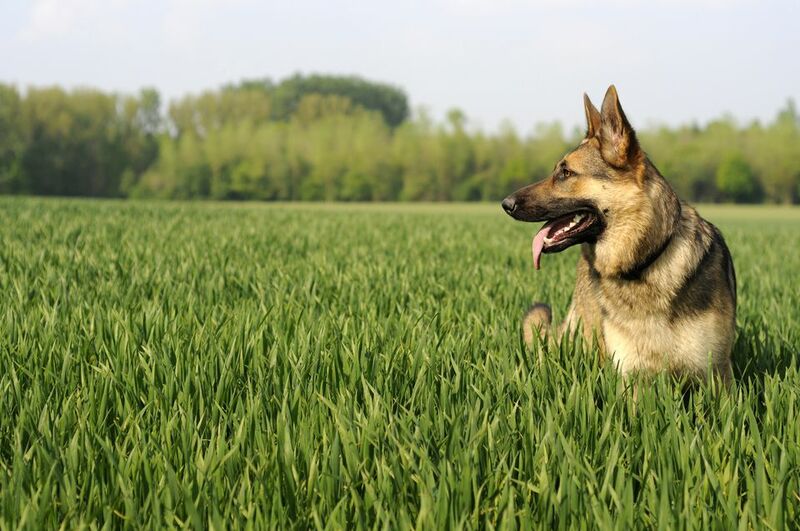 Most German Shepherds with idiopathic epilepsy experience their first seizure between the ages of one and five years. A seizure starts with a sudden collapse, followed by abnormal movement of limbs, drooling, uncontrollable movement of the jaw and incontinence. The dog is unconscious, unresponsive and unable to control the spasms. Seizures are very tiring, so the dog will rest a lot between seizures and display slower movements. He may even stagger. Note down all the things your dog did to see if you can find a trigger for the seizure and jot down the frequency. Let him rest after -- dim the lights and eliminate any loud sounds. Usually, seizures don’t last more than 1 minute; however, if they last more than 5, this is considered a medical emergency and requires immediate veterinary intervention for intravenous anticonvulsants to avoid irreversible brain damage or death. A glucose test is necessary for cluster seizures as well as an assessment of thyroid function. Poisoning should also be investigated. If those tests don't result in a diagnosis, the vet may proceed with a CT scan or an MRI to look for brain tumors or lesions. In addition to phenobarbital, seizures can also be prevented and controlled with primidone, phenytoin, diazepam or potassium bromide. Why Should My Cryptorchid Pet Be Neutered?